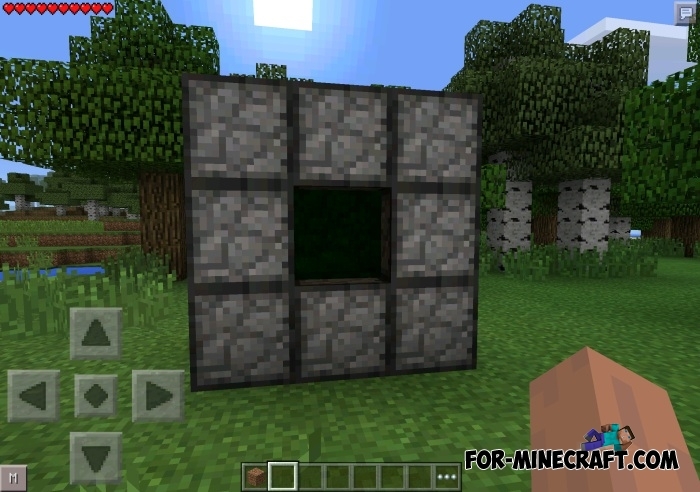 Mo'Dimensions mod adds the ability to build a portal that opens the way to another dimension. The portal looks rather gloomy and resembles an abandoned cave. Mod does not make specific tasks and dangers, but to go to this portal is necessary. 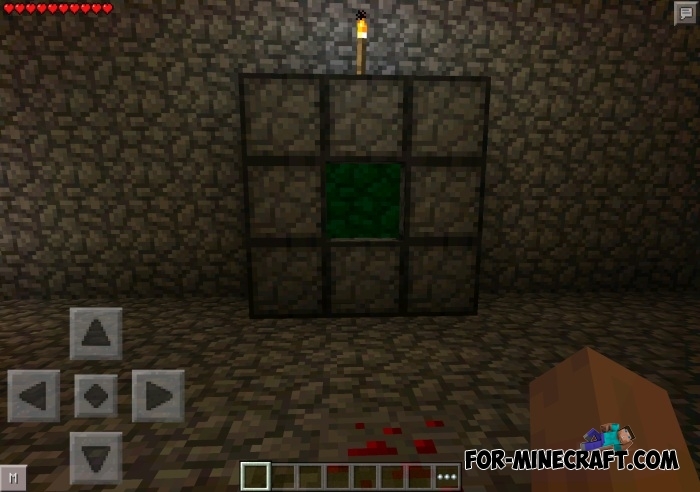 For the construction of the portal you need the Portal Starter and eight compressed stone blocks. 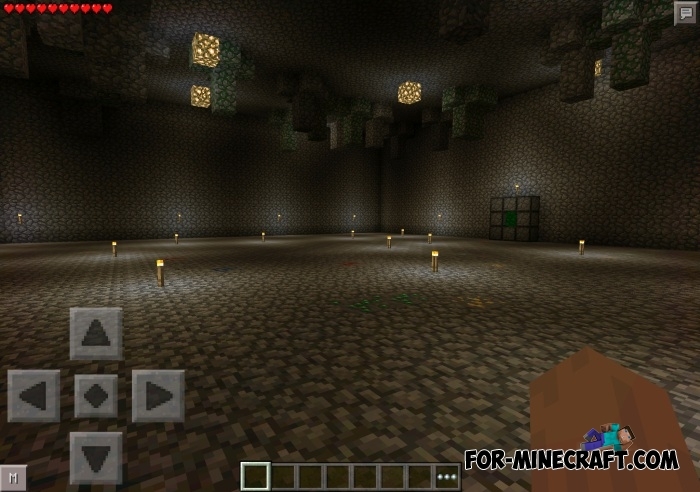 Construction Tools mod for Minecraft Pocket EditionWith this mode, you can easily create new interesting structures and modify existing structures.